Under existing policy, service members earn a pension for life after serving 20 years in the military. But only 17 percent do so, meaning the vast majority receive no pension whatsoever. 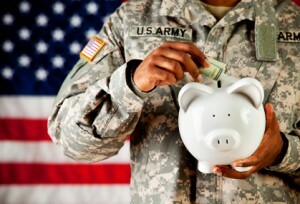 Supporters of a 401(k)-style savings plan for the military told lawmakers this week that moves to change the 20-year-or-nothing retirement system are long overdue and should happen sooner rather than later, according to militarytimes.com.